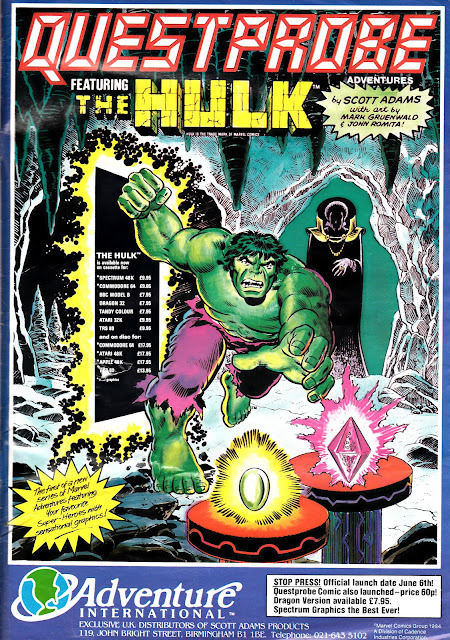 Here's a rarity from the Mighty Marvel UK vaults - a June 1984 one-shot special pegged to the QUESTPROBE computer game series, published in full colour (and with none of the usual printing problems associated with Marvel UK's early adventures in colour comics from this period). I must admit I was pretty surprised when I first spotted this issue, I had no idea that it had ever been published. I've subsequently found some mentions in UK Ballpen Bulletins pages but this was never given much of a push in the rest of the range, nor was it promoted alongside the other 1984 summer specials. The comic itself is a pretty straightforward A4 reprint of the original US issue (QUESTPROBE issue 1, August 1984), with just the computer game adverts changed so that they work for the British market (see below). As far as I know (but I'm willing to be proven wrong, given the obscure nature of this one), this was the only UK outing for the QUESTPROBE saga (despite the "limited series" designation on the cover, possibly carried-over in error from the US edition). Stateside, Marvel published three (of a planned twelve) tie-ins featuring SPIDER-MAN (2) and The Human Torch and the Thing (3). 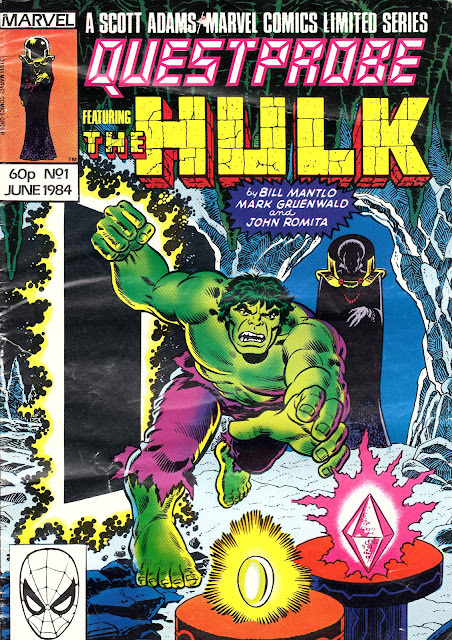 A fourth issue, featuring THE X-MEN was completed, but scrapped, when the manufacturer, Adventure International, went belly-up. 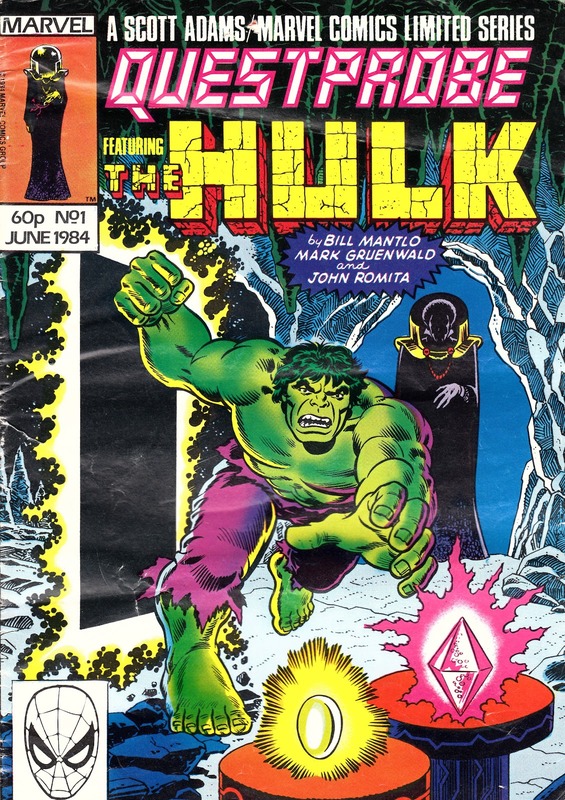 The material eventually appeared in (that glossy dumping ground for inventory) MARVEL FANFARE (issue 33).